There are many reasons to despise the North Korean leader, Kim Jong-il, and his henchmen. They live in luxury while ordinary citizens barely subsist. The regime is barreling ahead with a nuclear weapons program and looking for any chance to sell weapons to other dangerous states. Last year 46 South Korean sailors died after the North sank a South Korean warship. Two soldiers and two civilians died when the North shelled a South Korean island. We certainly understand Seoul’s fury. But President Lee Myung-bak’s vow that the North will not receive any more food aid until it apologizes will only guarantee more suffering for the North’s people. We see no reason at all why President Obama would make the same mistake. 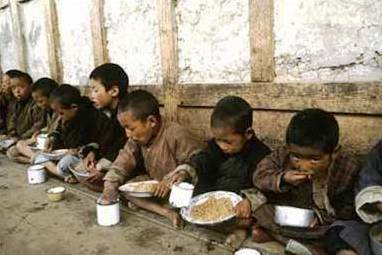 Pyongyang has an undeniable history of diverting some food aid to the military and the elite. But veteran aid workers say a monitoring system agreed to and put into effect by the United States and North Korea in 2008-9 would prevent significant diversion. The administration should insist that the system be part of any contribution. “Frank talks” about economic reforms? With whom? Some of President Obama’s economic czars? Representatives of the Environmental Protection Agency or the National Labor Relations Board? Ex-President Carter? He has the best shot at it, zero, but since Kim Jong-il and his associates already know he’s a doddering old fool they probably won’t be too offended at the prospect; it should be mildly amusing. As to diminishing the threats to South Korea, Starving North Korea did a great job in the past of suckering the United States into giving food aid in exchange for damping down its nuclear weapons program only to expand it. Hungry people? Meanwhile, the North Korean military stays busy, getting ready for its next war with South Korea. An army marches on its stomach, and for that North Korea needs lots of food for now and to hold in reserve. The New York Times is naive, indeed, if they believe that food aid is not a “political tool.” All forms of foreign aid exist to advance the national interests of donor countries. That national interest may be no more than a response to a society’s altruism, but absent the consent of society, expressed politically, the aid will stop. In almost all cases, though, all forms of aid represent much more than mere charity; national interests of one kind or another are always involved. North Korea is a case in point — if they don’t stop their nuclear weapons program, food aid is threatened. Nothing unusual about that at all. And I can never see that video too often. Seems appropriate degrees of cuteness and legginess are requirements for women being in the DPRK army…and of course they wouldn’t be picking the parade participants on that basis.